The City of Fremantle has issued a media release to announce that the CoF is close to signing an agreement with the Fremantle Football Club for the hand-back of Fremantle Oval to the City. Details of the agreement will be made public once the contract is signed, so it is still not clear if the Dockers will insist on getting a 4 million dollar pay-out to relinquish the long-term lease they have for the oval. With the Dockers AFL women’s team playing at the oval this weekend and the urgent need for reducing concerts and events on the Esplanade, it is very good news Freo City will now manage the venue and can get started on the Fremantle Oval precinct redevelopment. 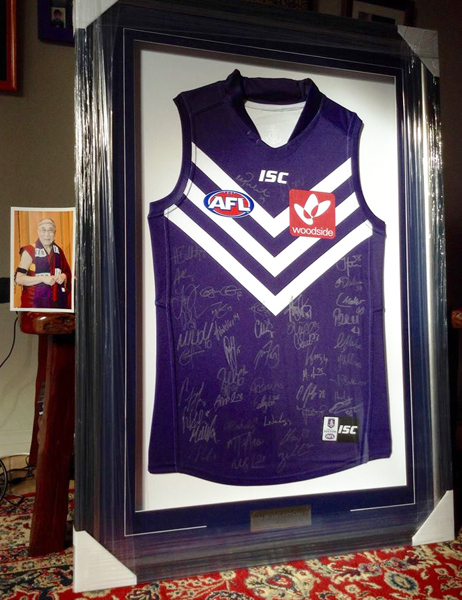 Fremantle Dockers fans are in for a treat at the RESTORING NEPAL fundraising concert next Saturday, with the silent auction offering a Dockers jumper signed by all the players. Bidding has already started at $ 350.00 but that is far too low, so make sure to attend the concert at the Fremantle Sailing Club on Saturday the 13th at 7 pm. Tickets are only $ 25.00 and proceeds are going to the victims of the recent earthquake in Nepal. The Gyuto monks of Tibet will be at the concert where Empire Blues and Mutima Band will keep us all dancing. Come along and tell your friends!!! !